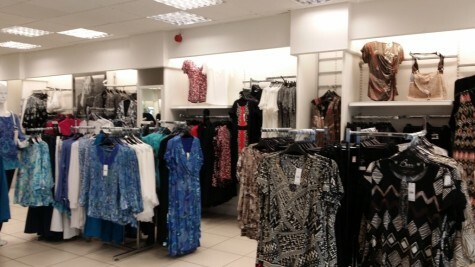 Embattled women’s value retailer Bonmarche (BON) is taking an absolute battering on Thursday, the shares collapsing 36% to 51.5p on a savage profit warning, the week’s latest bit of high street horror news flow following yesterday’s disappointing updates from Superdry (SDRY) and Dixons Carphone (DC.). 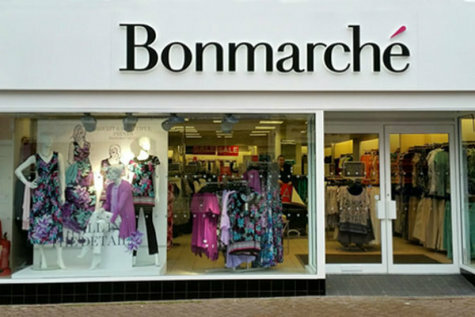 Having held annual profit guidance only last month, Bonmarche now bemoans ‘unprecedented’ trading conditions and slashes this year’s £5.5m underlying pre-tax profit (PTP) guidance to a range of breakeven to a £4m loss, a material downgrade which threatens the dividend. Last month, Bonmarche highlighted weak store like-for-like sales and a slow start to the festive selling season, so the latest earnings alert shouldn’t come as a complete surprise to investors. Bonmarche also warns that sales have not recovered since Black Friday, despite the retailer having slashed prices to stoke demand. 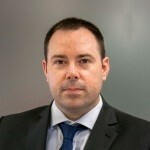 Consequently, with its confidence rocked, management doesn’t envisage that sales will recover to normal levels in the short term and is prudently downgrading market expectations again. Recent unseasonably warm weather blamed for Superdry’s latest warning won’t have helped, but Connolly believes the uncertainty surrounding Brexit is a major factor behind the slump in demand for Bonmarche’s wares and assumes sales won’t improve before the end of March 2019. Amid the worsening high street crisis, Bonmarche has zero sales visibility, hence the wideness of the guided forecast range, but worryingly, the mid-point implies a 12% slump in store-based like-for-like sales for the third quarter. Connolly believes her charge is ‘well prepared to weather the storm’, and insists ‘we can look forward to some recovery in full year 2020. 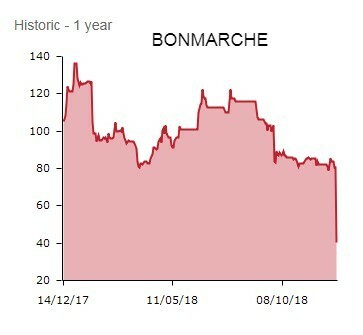 Accordingly, the board remains confident in the strategy, and in the company’s long-term prospects.’ Given today’s share price mauling, investors are far less confident about Bonmarche’s future prospects.